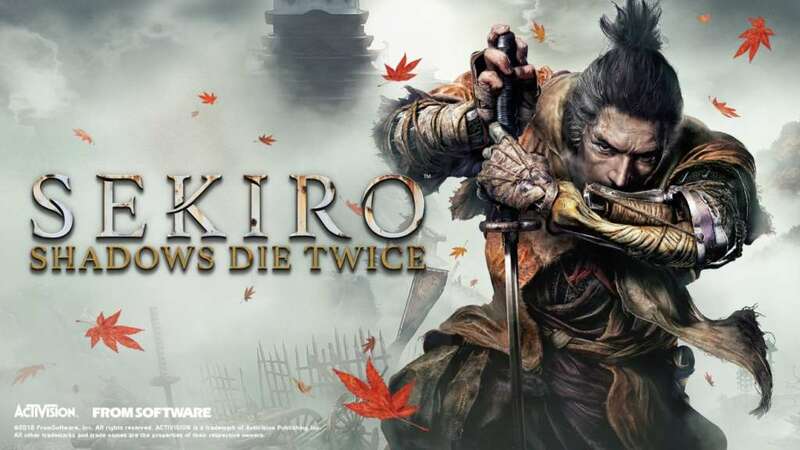 Sekiro Shadows Die Twice is the newest video game developed by FromSoftware and published through Activision for the PlayStation 4, Xbox One and PC. FromSoftware has built a legacy on developing games that are punishingly difficult like the Dark Souls series and Bloodborne. Sekiro Shadows Die Twice is also a very punishing video game but offers a bit more mobility like incorporating a grappling hook, running and jumping into the formula. In Sekiro Shadows Die Twice you control a Shinobi warrior named Wolf battling a variety of Samurai enemies in a Feudal Japan fantasy setting. Each battle you take on will be deadly and the game forces you to be on your toes the entire time. Stealth will play a large part in your success in the game as well as mastering the art of parrying and swordplay. Sekiro Shadows Die Twice has beautiful yet dated looking graphics and an inviting atmosphere that encourages players to explore each section they encounter. I appreciated that FromSoftware allowed the game to be ‘paused’ for a potty break as that was not always the case in their previous games. I also enjoyed being able to remap almost all of the buttons and controls to fit my preferences – why this is not an automatic option in modern video games is still perplexing. Sekiro Shadows Die Twice isn’t a perfect game and many casual gamers like myself will find it most likely more frustrating than enjoyable. The camera in the game can be difficult to manage and if you are backed up against a wall in combat it can be rather tricky to defend yourself. Something else that also stood out as strange was the leveling up progression system which doesn’t unfold naturally through the games’ narrative. I spent a couple of days in the same area just farming XP over and over again and practically maxed out my abilities without ever progressing into the story. Thus far Sekiro Shadows Die Twice is a mixed bag with clever combat to master yet a learning curve that is very discouraging. Definitely not a game for button mashers but will broadly appeal to gamers who found previous FromSoftware games addictive.